Cross the mountains and deserts of the great American West by rail and see vibrant Mexico by sea. The weather couldn’t be better on this rail-cruise adventure! On this 15-day rail-cruise vacation, you’ll cross the mountains and deserts of the great American West by rail and see vibrant Mexico by sea. Explore the world-class cities of Chicago and San Francisco before departing on a tour of Mexico’s premier destinations aboard the splendid Grand Princess cruise ship. With ports of call like popular Cabo San Lucas and Puerto Vallarta, as well as off-the-beaten path destinations like Mazatlan and Manzanillo, sun, sand, and adventure are guaranteed! Arrive today in Chicago. 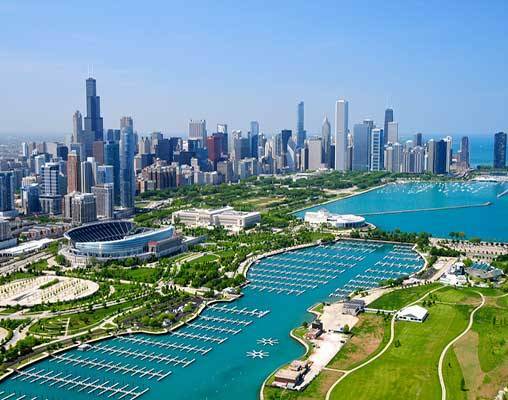 The day is at your leisure, so make the most of your time in the Windy City! Shop along the Magnificent Mile, stroll along the shore of Lake Michigan, admire the city's famous architecture, and check out the view from the top of the formidable Willis Tower. This evening, check out Chicago's world-famous restaurant scene, or laugh the night away at Second City. Overnight Chicago. Today, bid farewell to Chicago as you head to Union Station for your departure aboard Amtrak's California Zephyr. Settle into your onboard accommodations and prepare to set out on your exciting westward journey. Overnight train. Wake up today to views of the magnificent Rocky Mountains. Mingle with other passengers in the Sightseer Lounge, grab a bite to eat in the Café or Dining Cars, or simply relax and watch the splendid scenery of the American West roll by. Overnight train. Today, arrive in San Francisco. The hills, the cable cars, the Victorian homes, and the smell of the sea air: San Francisco's indelible romance makes it a world-class destination. 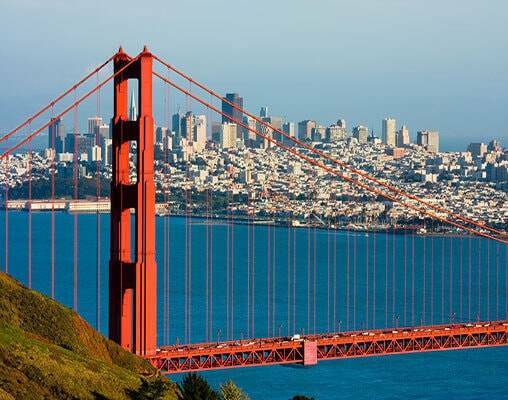 Explore the city's famous Chinatown, or get a photo with the magnificent Golden Gate Bridge at Vista Point. Overnight San Francisco. Enjoy one last morning in San Francisco before your 4:00 pm departure aboard the Grand Princess. Settle into your cabin and discover the ship's endless amenities as you set sail for Mexico. Overnight ship. Spend your time at sea taking in spectacular ocean views, mingle in the Italian-style Piazza, read in the library, learn something new in a ScholarShip@Sea® enrichment class, or unwind in the Lotus Spa Pool. This is your time to kick back and relax. Overnight ship. 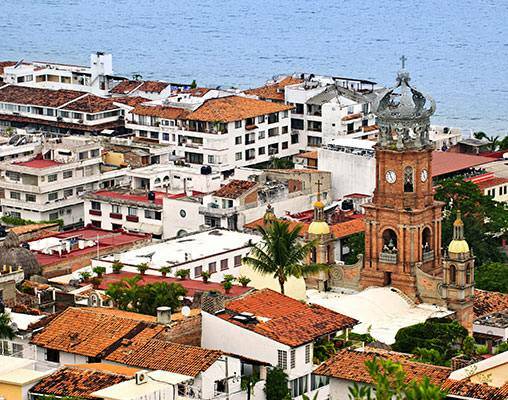 Warm, glamorous, and full of adventure, Puerto Vallarta is today's port of call. Stroll along the Malecon boardwalk and peruse the artists' wares, learn how tequila is made, or make some lively new aquatic friends at the Dolphin Adventure. There are endless opportunities for fun and exploration in Puerto Vallarta. Overnight ship. Welcome to Manzanillo! For years, this small city has been a secret destination for fishermen. Now, the secret is out. 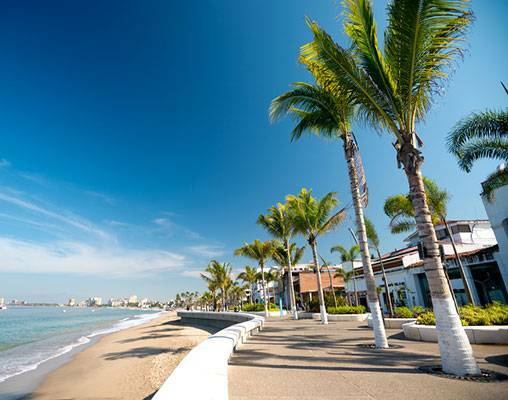 Featuring some of the world's best fishing as well as mountains covered with jungle and miles of pristine beaches, Manzanillo is becoming a hot new vacation spot. Overnight ship. Situated between the wild Pacific and the dramatic Sierra Madres, Mazatlan is a world-class destination. From its scenic beauty to its rich culture, the city is absolutely captivating. Visit the Pacifico Brewery, admire the Gothic and Moorish architecture of the Cathedral Basilica, and relax on one of the white-sand beaches. Overnight ship. One of Mexico's best-known resort cities, Cabo San Lucas really has it all. 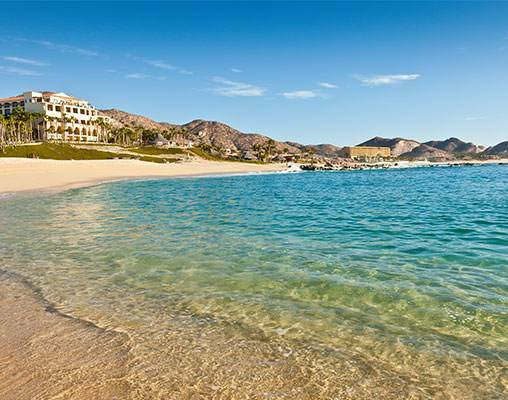 In Cabo, you'll discover a legendary nightlife, crystal-clear waters, and breathtaking scenery. Go snorkeling, and encounter swirls of colorful marine life, or take advantage of the rich waters through sport fishing. You won't waste a moment at this spectacular destination. Overnight ship. Enjoy your last days sailing through the Pacific! Make the most of the ship's amenities, including the various restaurants and dining rooms. Overnight ship. This morning, arrive back in San Francisco. 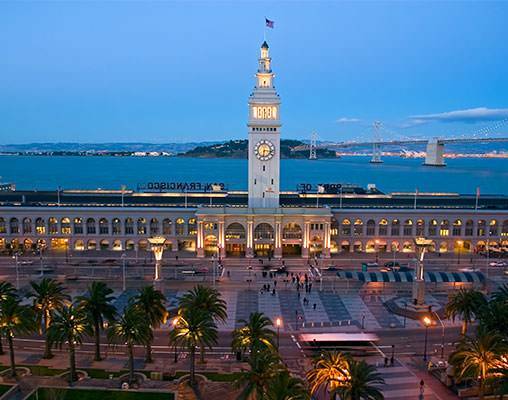 Depart San Francisco on your own, or choose to extend your stay in the City by the Bay. Hotels included are the Palmer House Hilton (Chicago) and the Mark Hopkins Intercontinental (San Francisco). Roomette accommodations include a private cabin featuring two comfortable seats beside a picture window during the day, converting to an upper and lower berth at night. Roomette accommodation also includes meals aboard the train along with access to lounges and observations cars. Travel aboard the Grand Princess is in an Oceanview stateroom which is approximately 163 to 171 square feet and features a picture window for memorable views. The Oceanview stateroom is richly appointed with fine amenities. Hotels included are the Palmer House Hilton (Chicago) and the Mark Hopkins Intercontinental (San Francisco). Roomette accommodations include a private cabin featuring two comfortable seats beside a picture window during the day, converting to an upper and lower berth at night. Roomette accommodation also includes meals aboard the train along with access to lounges and observations cars. Travel aboard the Grand Princess is in a Mini-Suite which offers approximately 323 square feet of comfort and a separate seating area with a sofa bed for lounging or sleeping a third passenger. The spacious balcony is approximately 61 square feet and the bathroom offers a combination tub and shower. Hotels included are the Palmer House Hilton (Chicago) and the Mark Hopkins Intercontinental (San Francisco).. Amtrak Bedroom accommodation features a sofa and chair by day, an upper and lower berth by night with a sink, self-enclosed toilet and shower. Bedroom accommodation also includes meals aboard the train along with access to lounges and observation cars all meals included on board. Travel aboard the Grand Princess is in an Oceanview stateroom which is approximately 163 to 171 square feet and features a picture window for memorable views. The Oceanview stateroom is richly appointed with fine amenities. Hotels included are the Palmer House Hilton (Chicago) and the Mark Hopkins Intercontinental (San Francisco). Amtrak Bedroom accommodation features a sofa and chair by day, an upper and lower berth by night with a sink, self-enclosed toilet and shower. Bedroom accommodation also includes meals aboard the train along with access to lounges and observation cars. Travel aboard the Grand Princess is in a Mini-Suite which offers approximately 323 square feet of comfort and a separate seating area with a sofa bed for lounging or sleeping a third passenger. The spacious balcony is approximately 61 square feet and the bathroom offers a combination tub and shower. 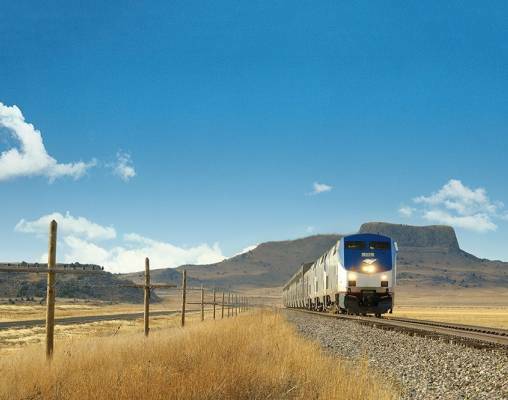 Enter your details below if you would like to be notified when 2021 dates and prices are available for California Zephyr & Mexican Riviera Cruise. Prices are land-only, per person. Prices are correct at the time of this web page being published; however, are subject to change. Vacations By Rail can supply connecting rail from your closest Amtrak Station. Valid government-issued photo ID and birth certificate (or valid USA passport) are required for cruises starting and ending at a US port. Port taxes of $190 for 2018 cruises and $195 for 2019 cruises are not included. Princess reserves the right to impose a fuel supplement of up to $9 per person per day on all passengers if the NYMEX oil price exceeds $70 per barrel, even if the fare has been paid in full. Please be advised that passengers traveling on California Zephyr trains may encounter delays of approximately three to six hours due to heavy congestion, speed restrictions and other operating conditions.